Jan Łukasiewicz's father, Luke Łukasiewicz, was a captain in the Austrian army. Perhaps before proceeding we should explain why the father in this Polish speaking family, living in Lvov which is now in the Ukraine, should be in the Austrian army. Galicia, in which Lvov was situated, was attached to Austria in the 1772 partition of Poland. However, by the time Łukasiewicz was born in Lvov, Austria had named the region the Kingdom of Galicia and Lodomeria and given it a large degree of administrative autonomy. Jan's mother, Leopoldine Holtzer, was the daughter of an Austrian civil servant and both Leopoldine and Luke were Roman Catholics. Łukasiewicz was interested in mathematics at school and he entered the University of Lvov where he studied mathematics and philosophy. Following his undergraduate studies, he continued to work for his doctorate which was awarded in 1902 with the highest distinction possible. Wishing to lecture in universities, Łukasiewicz continued to study for his habilitation, submitting his thesis to the University of Lvov in 1906. Once he had been awarded his habilitation, Łukasiewicz began to lecture at a Privatdozent. Then in 1911 he was promoted to an extraordinary professor at Lvov. Soon large changes in Poland would present new opportunities to Łukasiewicz. Since the partition of Poland, Russia had controlled that part of the country called Congress Poland, which included Warsaw. The University of Warsaw had been closed and only a Russian language university operated there. At the outbreak of World War I, the Central Powers (Germany and Austria- Hungary) attacked Congress Poland. In August 1915 the Russian forces withdrew from Warsaw. Germany and Austria-Hungary took control of most of the country and a German governor general was installed in Warsaw. One of the first moves after the Russian withdrawal was the refounding of the University of Warsaw and it began operating as a Polish university in November 1915. Łukasiewicz was invited to the new University of Warsaw when it reopened in 1915. It was an exciting time in Poland and a new Kingdom of Poland was declared on 5 November 1916. Łukasiewicz was Polish Minister of Education in 1919 and a professor at Warsaw University from 1920 to 1939. During this period between the wars Łukasiewicz was twice rector of Warsaw University. ... viewing mathematical logic as an instrument of enquiry into the foundations of mathematics and the methodology of empirical science, Łukasiewicz succeeded in making it a required subject for mathematics and science students in Polish universities. His lucid lectures attracted students of the humanities as well. Łukasiewicz had married Regina Barwinska and they suffered great hardships during World War II. Łukasiewicz wrote an autobiography in 1953 and, after his death it was published by his widow Regina Łukasiewicz . The suffering of Łukasiewicz is graphically illustrated in this autobiography. Łukasiewicz and his wife fled from Poland and in 1946 they were in exile in Belgium when he was offered a chair by the University of Dublin in Ireland. 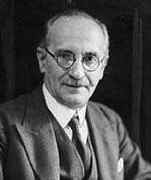 He worked on mathematical logic, wrote essays on the principle of non-contradiction and the excluded middle around 1910, developed a three value propositional calculus (1917) and worked on many valued logics. Łukasiewicz introduced the 'Polish notation' which allowed expressions to be written unambiguously without the use of brackets and his studies were to form the basis for Tarski's work.